I have this exact bag. The 3.5 LS. Bought it last november and it's been a winner for me. Mine is the red, wht, blue model with the American flag patch. I'm sorry I can't add information regarding your ClicGear cart. I have used mine on an older model SM Speed cart and it's fine. I'd suggest you visit a local retailer and take your cart possible and see if they have the bag you like and if it sits on your cart properly. Titleist has some new bags I recently saw that looked nice also. I am pretty much exactly like you in that when I walk I have a clicgear and sometimes I ride. I have a Sun Mountain 3.5 LS and it is an absolutely fantastic bag. However, like most stand bags, it isn't the greatest on push carts. I ended up buying a separate bag (Sun Mountain Sync) to actually use when I am playing (push cart and riding cart) and I use the Sun Mountain 3.5LS for when I am practicing or going to the range. I played for years with a Sun Mountain 4.5 and clickgear 2.0 cart. The Cart is great and I love the bag but they are not a good match. I also have a C-130 which is much better on the cart so the Sync or C-130s would be a better combo. Check out the new Titleist Hybrid 5. Has legs that retract fully and allow the bag to stand flat in a cart. Seems to have a fair amount of compartments. I had a terrible experience with my Sun Mountain XCR (cross cart range) staying put in a riding cart because of the kickstand/lever that activates the legs. I won’t buy another stand/hybrid bag again that doesn’t have an integrated kick-stand, or built into the base. It also had a tendency to slide down onto the front wheel of my Clicgear. It’s not the model you’re talking about, but I still wouldn’t buy a bag that has an exterior kickstand. Big Max bags look great! Take a look at those. Ping pioneer or the cobra carry bag. Both great bags and yes I have both. Another one to look at might be the Sun Mountain C130S, which might fit better on the Clicgear but also is a stand bag. It is a 14 way divider. Others have mentioned some solid bags. I have a Clicgear 4.5 and a SM 3.5. It fits ok but isn't great. There is an additional attachment that you can get for Clicgears so certain bags fit better, but I don't have any experience using it. Thanks for the comments Spys. I have thought about the SM C130S as I think that would be exactly the bag I would like but the 14 way top is just a deal breaker for me. It seems as though I'm in the minority now but I just can't make myself like them. I had a SM C-130 a couple of years ago and loved the bag but just hated the 14 dividers. I spent too much time looking for the empty spot and trying to get the club in it. After looking a the responses, I have looked at the Titleist Hybrid 5 (on line) and really like the looks of it. So I'm now looking at it and the Ping Hoofer really hard. Anybody have any experience with either of these on a Clicgear 3.5+? If I were you, I would check out the Cobra bags......the cart bag i got last year is def my fav. I like my Wilson Staff Nexus carry bag. It's not perfect but it's easy to carry to the range, fits my SM pushcart, and sits nicely on a riding cart. It sits on the ground similar to the Ping Hoofer. I've had it for a couple of years; original Nexus, but the Nexus 3 looks good too. I'd buy again. Check out Vessel bags. They're pretty good! Great read through this topic. 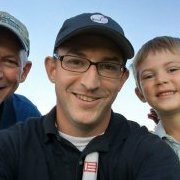 I think I need (okay want) a new bag this year and am looking into the hybrid stand/cart bag sector. I generally use a push cart, but like having the option to carry if I want to. And the convenience of a stand bag at the range can not be beat. I was looking at the sun mountain 4.5 14 but I will have to look at the titleist too as was suggested. 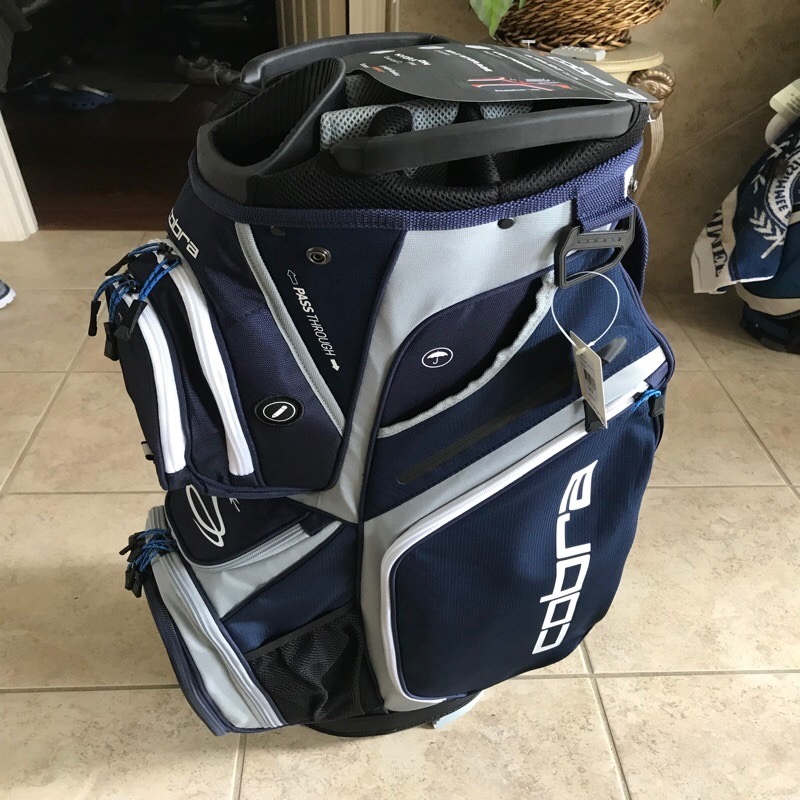 Anybody else have any good hybrid bags they would recommend for a push cart? Just found the solution to all of your problems. Sun Mountain makes a 5 way C-130. I can't tell if you're joking or not, but to be honest I think that thing is completely hideous. Reading the MGS stand bag test it sounds like the sun mountain LS 4.5 and the Titleist hybrid are both good options. Anybody have any experience with those?